The brewery was most probably built in 1710. This deduction was made from the year chiseled out on the foundational pillar in the malting barn, where the brewery bar is located now. The owner of the brewery was the Metropolitan Chapter of Saint Vitus in Prague during most of the time, even though it was let throughout that time. The most prosperous were the years of the second half of the 19th century, when the leaseholder for 32 years was the chief brewer Alexandr Kottler. According to a survey of beer production of 10 breweries in Smíchov in 1897, Únětice Brewery was the third largest in the region and its annual production reached 21,600 hectoliters (the average production from that time was approximately 7,000 hectolitres of beer per year). It is also worth mentioning that the brewery of Únětice was already using a steam engine at the time. Historically, the brewery was in the possession of the pond to the west of the town from, which was used in the winter to obtain ice. The ice was then stored in the hillside near the back entrance to the compound. The chamber, measuring 8 x 25 m, was a reservoir of ice for at least one year. Water for the beer was drew from a well close to the ice-chamber. The rest of the water needed was supplied from a nearby pond through wooden piping. Únětice brewed ale and dark beer, and it was shipped in both kegs and bottles – it had its quality and distinctive taste. The beer was drawn in the inns of Únětice (U Landů and U Kejmarů) and the bottled beer was sold U Nykodýmů. Carting the beer to the neighbourhood was done by horse-drawn carriages and later by truck. Among the regular customers were the innkeepers of Materna in Větrušice, Vytasil and Steiner in Statenice, Petříček and Skalická in Vodochody, Čermák and Egermajer in Tuchoměřice, Dědič, Kratochvíl and Vodička in Žalov, Gaisi and Kopecký in Suchdol, Horák and Petrlík in Horoměřice, Kozel in Černý Vůl, Reznerová in Holubice and Klášter Kapucínů in Prague. 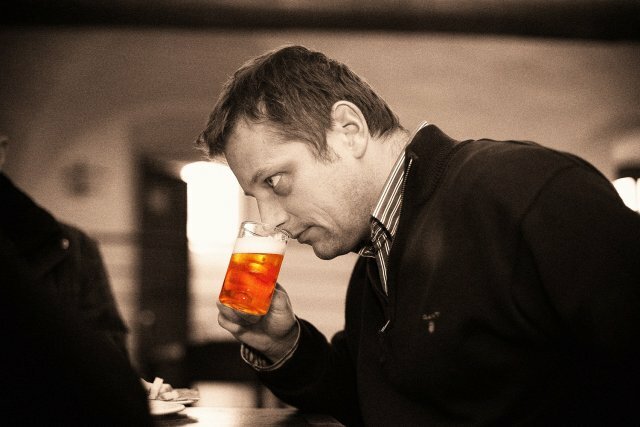 It was said at the time, that the beer from Únětice was transported in the night to the famous restaurant in Smíchov – U Holubů, where it was sold as genuine Pilsner beer. The growing pressure of competition in the early 20th century caused the brewery problems and the stagnation and being located outside the industrial city didn’t help. The business never recovered from World War One, the last year of function of the brewery was 1916-17 and they brewed only 2,026 hl. The times were better after the war and during the First Republic, but the fame and glory of before was gone. Another blow came with the Protectorate, and around 1942 and the brewery was shut down. After the death of the tenant J. Fiedler (1943) the company was taken over by his wife Olga and daughter Mary, who after 1945 surprisingly quickly restored and technologically modernized it. In the year 1948 the ownership of the brewery passed from the Metropolitan Chapter of Saint Vitus to Staropramen of Smíchov. Although the brewery still was in the union of breweries in the region of Rakovník and Kladno, in March 1949 the production finally ended (with 375 hl produced in the last year). The company functioned for a while under the auspices of Smíchovský pivovar, but in the year 1951 the compound was shut down and used only as a warehouse. 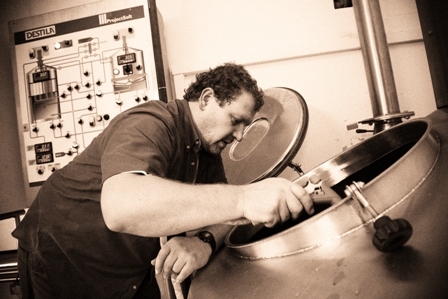 In the march of 2010 under the direction of the couple Tkadlec from the nearby Roztoky u Prahy began preparing the project „Znovuzrození Únětice Brewery“ (The Revival of the Únětice Brewery). In September of the same year, a joint-stock company Únětice Brewery was established. In November, the company bought the compound of the brewery from Primo k.s., which stored dairy products. The construction began immediately thereafter. The building had to be adjusted to suit the legislative and technological requirements of beer production and at the same time, emphasis was placed on maintaining the original atmosphere of the entire building. A part of the reconstruction it was also needed to connect the building to gas, water and sewerage. 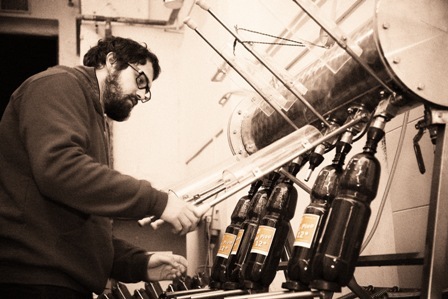 With the support of friends of Únětice Brewery and the town of Únětice the brewery initiated the installation of new technologies on April 4, 2011. The supplier of the equipment was the Czech corporation Destila. The first batch of the beer was brewed on May 15th and June 11th, 2011 was the ceremonial opening of the Únětice Brewery and the modern history of the brewery. Within a relatively short time we managed to find outlets for the beer not only in the neighbourhood but also in Prague. As of today, Únětice is on tap in dozens of businesses. 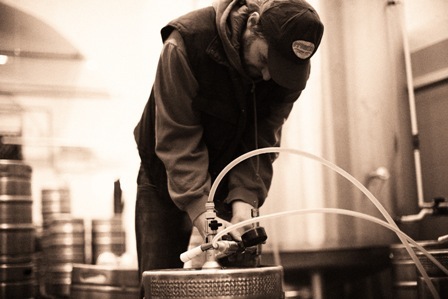 In the spring of 2012 production was extended (installing additional fermentation vats and storage tanks) and the brewery bar was restored and opened with hot food and beer straight from the tank. In the first year of operation the Únětice Brewery received several awards. In a survey of the Association of Friends of Beer Únětice 12° was dubbed as the Breakthrough of the Year and was also ranked 3rd among twelve degree beers. Another award went to the husband and wife Tkadlec from the publisher of the magazine “Pivo, Beer and Ale” as the Person of the Year in the kategorie “Brewery with volume of production under 10,000 hl”. In 2012 Únětice 10° received from SPP a prize as the best beer in its category. Únětice 12° and the brewery itself earned themselves good scores in the survey as well. 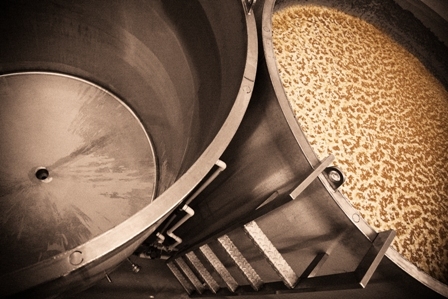 In November 2012, the brewery was also ranked among the 100 best Czech in the field of agriculture and food industry. 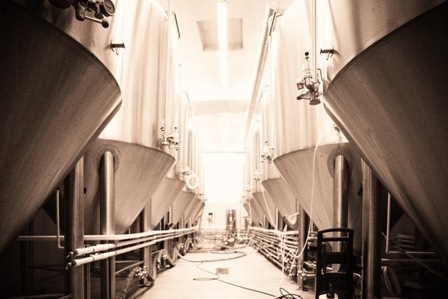 In the spring of 2013, there was a capacity expansion of the fermenting room and the storage cellar to the targeted capacity 10,000 hl per year and the brewery’s production amounted to 9,200 hl that year. Towards the end of the year, the Únětice beer made deliveries to more than 80 restaurants in the neighbourhood of the brewery and in Prague. The longest regular journey of the beer was 35 km. Towards the end of summer of 2014, the restoration of the previous glory of the brewery went another step further. We started an extensive repair of the facade of the eastern wing of the brewery. The new look of the brewery will match the appearance of the early 19th century, a time when the brewery was in full bloom. “Our main aim is to build on the historical tradition of the Únětice Brewery and the popularity of local beer and keep a small but strong regional brewery, that will brew an honest and good beer,” says the couple Štěpán and Lucie Tkadlec.